What Kind Of Video Game Industry Careers Are Available for STEM Graduates? Deciding on a career in the video game industry is the first step toward a promising future. There’s no doubt that the video game industry is booming right now, but it’s a diverse field that offers many different career paths. Do you want to work with design elements like graphics, textures and animation? Or do you want to build the framework and functionality of games from the ground up? Game design careers focus on the visual and creative elements in video games, including story, environments, characters and animations. If you have artistic talent and a good eye for color and design, then the following careers may be a good fit for you. Game designers are responsible for coming up with all the essential elements of gameplay, like characters, story and art. From there, they create a detailed plan to bring the game to life. To get started as a game designer, creativity is a must. A degree in fine art or design, animation or even computer science can help, along with skills like 3D modeling and scripting with C++, Python and LUA. Game designers work directly with animators, AI programmers and developers to bring their concepts to life. Technical artists take completed art elements like character designs and game environments and optimize them to make sure that the game runs quickly and smoothly, but still looks high-quality. Technical artists work on things like shading, lighting and polygon count, and how those elements affect the length of time it takes the game to render during gameplay. These artists collaborate with other artists and programmers to make sure that important elements of the game, like backgrounds and physics, function as they should. Once everything is ready, the technical artist ports the completed assets to the game engine. An undergrad degree in video game art, fine art or video game design is usually recommended. Proficiency in various programming languages and a knowledge of how to create models and 3D textures are helpful skills to have too. Video game characters are either animated with motion capture or hand keying. When using motion capture, motion capture artists collect data, and the animator uses that data to build a framework on which to place the character design, giving the character lifelike motion. Motion capture is directly based on the movements that an actor takes. When using hand keying, a character rigger builds a model, then the animator moves that model to represent the movements the character takes in the game and captures the movements with special software. Animator positions require a degree in game development, game design or animation, and the ability to tell a story through character movement and actions is essential. This career group focuses more on the technical elements of game development. A strong aptitude for scripting languages, math and physics are usually required for the types of positions listed below. A general game programmer has a wide variety of responsibilities throughout the game development process. Often, they are tasked with coding assets of the game and making sure those scripts work well and without bugs. They work to create a stable, error-free game, streamline its processes and make sure all elements of the game meet the specifications from other programmers and the design team. Programmers are responsible for testing different scenarios to identify potential glitches or bugs, as well as developing solutions to fix them. 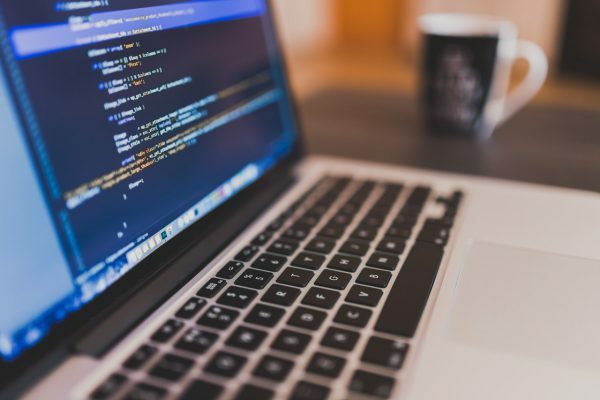 To get started as a game programmer, you’ll need a college degree in game design or computer programming, as well as expertise in math, and script languages like C++, Java and Python. A game programmer is also expected to have knowledge about physics topics and graphics systems. Gameplay programmers work directly with lead designers to bring to life the playable elements of the game. This position involves collaborating with game writers and designers to brainstorm the overall game design, the mechanics of the game, and the layout of levels and environments. This career involves a lot of project management and problem-solving skills, so gameplay programmers need to be effective communicators and natural leaders. A college degree in game development, game design or computer science is usually required, with a focus on courses in mechanics, scripting and project management. Gameplay programmers must have a strong knowledge of the inner workings of game engines like Unreal, and should also be familiar with the limitations and abilities of modern consoles. Many modern games are loaded with interesting and believable non-playable characters that respond to prompts and actions taken by the gamer. Artificial Intelligence (AI) programmers directly program the behaviors of these characters. They design and develop codes that control how these characters move and react, along with camera control and pathfinding. In some instances, AI programmers focus on combat between the player and non-playable opponents, or even create neural networks. If you’re interested in becoming an AI programmer, you’ll need to have some serious creative and critical thinking skills, along with a knowledge of advanced math concepts. An undergrad degree in computer science, game development or engineering is required. Some larger game companies are looking for those with advanced degrees. A solid understanding of C++, STL, profiling tools and APIs is important, and strong communication skills, both written and verbal are a necessity. AI and its capabilities are growing exponentially right now, so you can expect this role to change and develop significantly in the coming years. When you play a video game, you want the characters and environments to function in a consistent, believable way. Physics engine programmers make sure that objects within a game follow the natural laws within the game. This is reliant on the restrictions of the game engine and the computing power available. Physics engine programmers look at actions like a car crashing into a motorcycle, a character picking up an object, or the way water in a lake moves, and make sure that these actions mimic the expectations that the player has. You may have also heard of “ragdoll physics,” which is how a body moves when it is hit. Because bodies have bones and joints, players expect them to move in a certain way. Physics engine programmers focus on making sure everything is moving as it should. A degree in computer programming, physics, advanced math or game development is required, and a knowledge of anatomy, scripting languages and assembly programming can be helpful. Systems designers handle a wide variety of tasks within game development and design. As the name suggests, they focus on designing systems like fighting, scoring, community features and game modes. They will often be involved in creating initial design documentation and will work on various teams throughout the creation of the game. They work closely with the quality assurance team and design teams to make sure that gameplay features work fairly and are balanced. Sometimes, systems designers also work on organizing game testing and report on testers’ feedback. Systems designers require flexibility and versatility, as well as knowledge about the game creation process as a whole. Scripting and programming knowledge is vital, as is a comprehensive understanding of different gaming platforms and engines. Systems designers need a few years of experience in the gaming industry so they have a clear knowledge of the inner workings of video game design and development. They need to be able to work with and communicate with a diverse set of people and also have a technical skill set. While many people dream of playing video games all day for a living, the job of a game tester is more complicated than that. While testers do play games for most of their job, they are also responsible for locating and reporting bugs, glitches and any game or engine functions that don’t work correctly. They need to detail how the bug happened so that other people on the team can recreate and fix the bug. They keep detailed logs of everything they have tested and any issues that arise. And video game testers work in a game studio, not from home. These testers are actively trying to “break” the game by trying everything and anything. They need to look at all possible scenarios that might happen when an actual player is playing. Players are bound to play games in ways that weren’t originally intended, so game testers need to be creative and think outside the box. If you’re interested in game testing, it’s helpful if you love playing video games of all genres and nitpicking their individual elements. Game testing can be a great way to get started working in the video game industry, but bear in mind that this position requires knowledge of basic IT functions, strong communication abilities and superior organizational skills. The video game industry is full of great opportunities for people with a diverse set of skills. No matter which path you choose, whether you’re more interested in the design aspect or the technical side, a career in video games can be lucrative, challenging and fun! 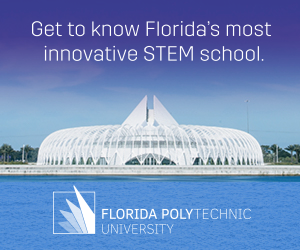 Interested in exploring other STEM career options? Check out our STEM career glossary.